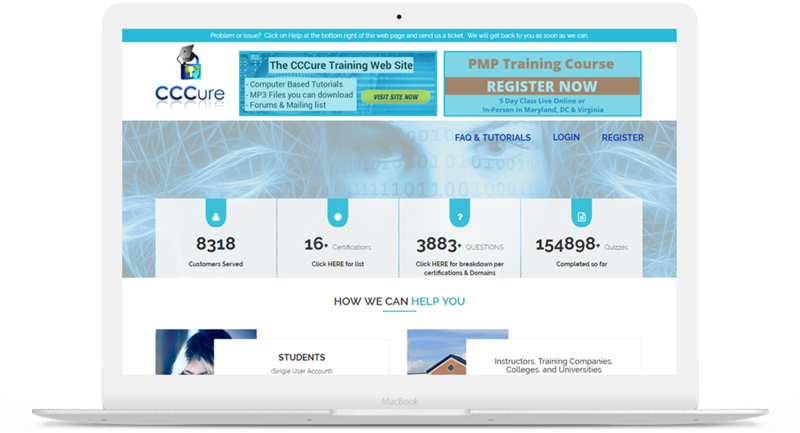 The goal of CCCure is to provide Quality resources at a just price. 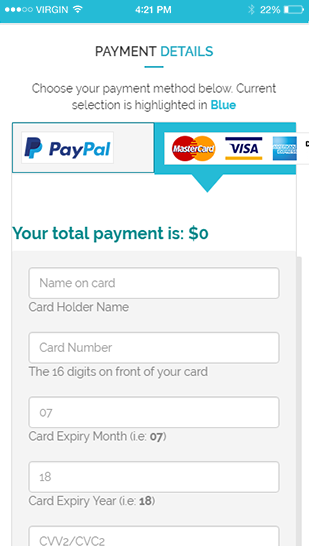 The website has questions and answers with their thorough explanation. 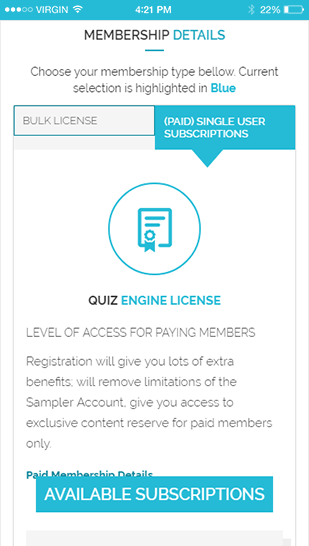 The subscribed users get the access to all of the site content for every certification available within the quiz website. 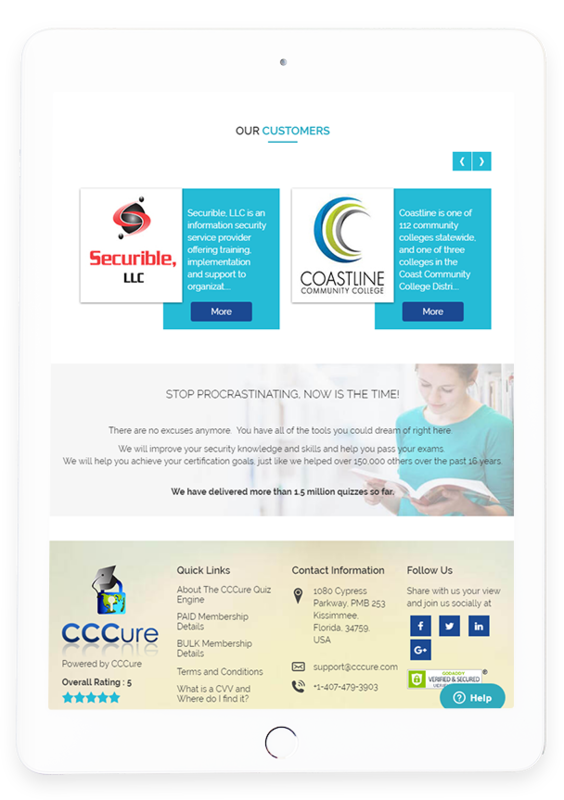 The content of the website is revised and updated constantly. 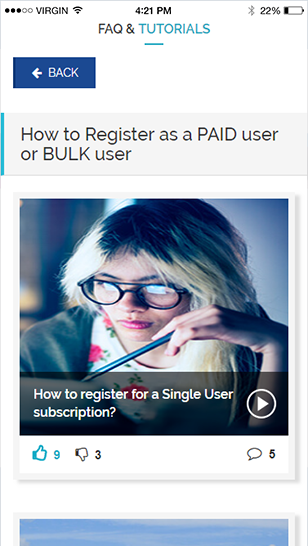 The registered users can also add questions, which once approved by the admin is available for the quizzes. 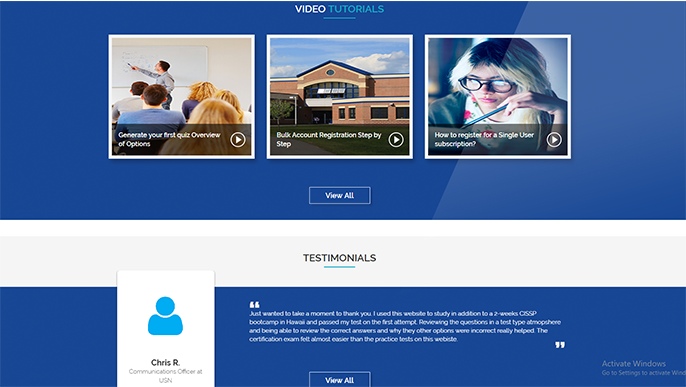 The website can also be used by educational institutions or trainers through bulk accounts. 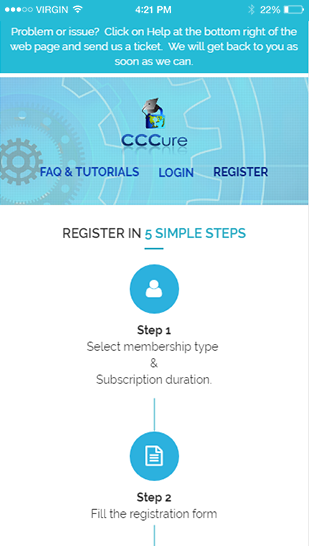 CCCure is helping educational institutes and individual users by providing online educational content to the students remotely thereby helping them to establish their career. 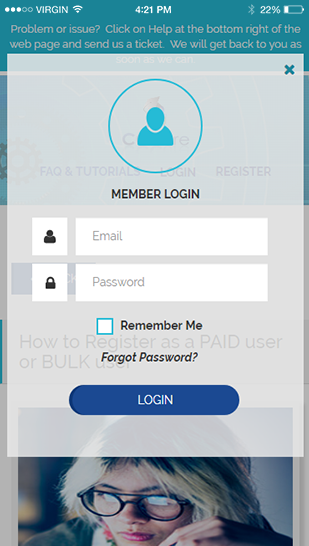 The quiz track and the report card functionality help the students to gain insights about their expertise the areas of improvement.